Congratulations to cellist Alexey Stadler - seen above - who gave a fine performance as a last minute replacement for an indisposed Truls Mørk in Thursday's BBC Prom. Exclusive inside information including the time of the flight that brought the - I quote - "little-known" Alexey Stadler in to Heathrow on the afternoon of the concert was provided by Norman Lebrecht. But another part of the backstory was missing from Slipped Disc, so I will provide it in the interest of completeness. 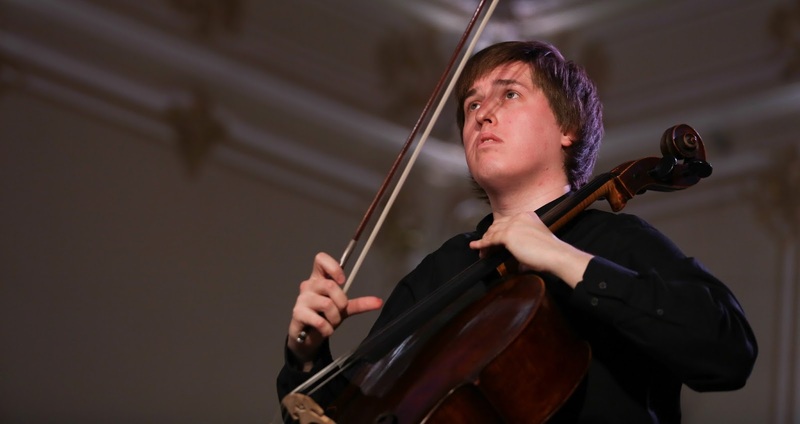 The 'little-known' Alexey Stadler is managed by super agent HarrisonParrott who also manage some very well-known artists including the BBC Symphony Orchestra's principal conductor Sakari Oramo. And among the other artists they manage is the indisposed Truls Mørk. Alexey Stadler undoubtedly deserves his accolades. But it does help when you've got friends in the right places. As another 'unknown' musician found out eleven years ago. * Photo via Tchaikovsky Competition. Any copyrighted material is included as "fair use" for critical analysis only, and will be removed at the request of copyright owner(s). Also on Facebook and Twitter.